Informatics can vastly assist progress in research and development in cell and molecular biology and biomedicine. However, many investigators are either unaware of the ways in which informatics can improve their research or find it inaccessible due to a feeling of informatics anxiety. This sense of apprehension results from improper communication of the principles behind these approaches and of the value of the many tools available. In fact, many researchers are inherently distrustful of these tools. A more complete understanding of bioinformatics offered in A Bioinformatics Guide for Molecular Biologists will allow the reader to become comfortable with these techniques, encouraging their usethus helping to make sense of the vast accumulation of data. 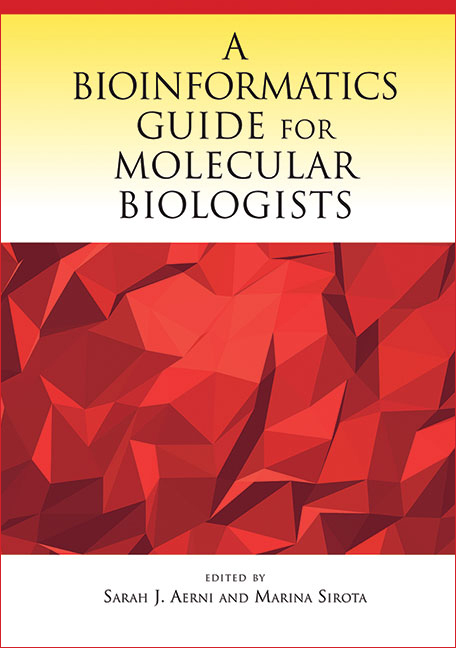 To make these concepts more accessible, the editors approach the field of bioinformatics from the viewpoint of a molecular biologist, (1) arming the biologist with a basic understanding of the fundamental concepts in the field, (2) presenting approaches for using the tools from the standpoint of the data for which they are created, and (3) showing how the field of informatics is quickly adapting to the advancements in biology and biomedical technologies. All concepts are paired with recommendations for the appropriate programming environment and tools best suited to solve the particular problem at hand. It is a must-read for those interested in learning informatics techniques required for successful research and development in the laboratory.